Sarajevo, 18.06.2018. – The BiH Central Election Commission will with the support of the Council of Europe tomorrow start a two-day conference “Towards the 2018 General Elections” in Ilidža. Logistical support at the conference is provided by the BiH Association of Election Officials. The conference will bring together around 150 participants – representatives of municipal/city election commissions from 143 municipalities/cities in BiH. Guests of the conference are Ambassador Drahoslav Štefánek, head of the Council of Europe’s Office in BiH, Mr. Francois Friederich, Head of the Department for Electoral Assistance and Census, General Directorate for Democracy, Council of Europe, as well as representatives of the OHR, OSCE Mission and the EU Delegation to BiH. 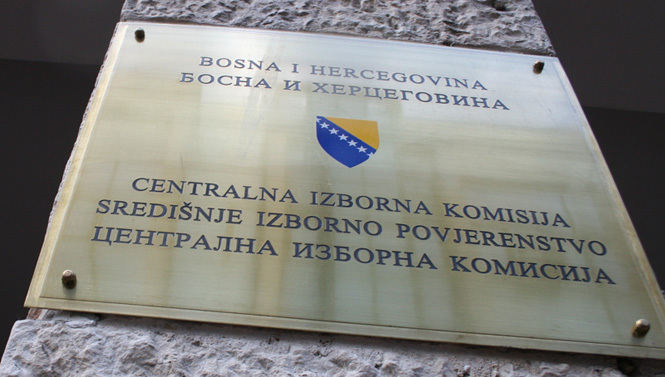 Topics of the conference are changes and amendments to the BiH CEC’s regulations, timeline of electoral activities, appointment of the polling station committees, process of accrediting the observers, receipt of polling material and E-Day and correct consolidation of election result. The goal of the Conference “Towards the 2018 General Elections” is to inform the electoral stakeholders about changes and amendments to the election-related regulations, forthcoming activities concerning the conduct of elections and to exchange opinions and views on current challenges in the 2018 electoral process.